Surely just about everyone is tired of reports about the drought throughout much of the U.S. As the political campaign heats up, news of the drought slows down. Politics are exciting. The drought is not. None of us will be without food this winter because of the loss of corn, soy beans or other agricultural products. After all, our grocery stores and neighborhood markets have plenty of fresh, nearly-perfect corn for our summer picnics and barbecues. Right? I have been reading about the drought for some time, and have watched as the bushes, trees and grass in our neighborhood have gone dormant, or simply died. When Terry and I were at the car wash–of all places–we entered into a conversation with a crop insurance adjuster who gave us a real life view of what this all means. He explained he was getting his car washed because he is working 15 to 18 hour days driving from farm to farm to identify the percentage of the corn crop already lost to the drought. He estimates that in his territory (the exact perimeters of which are unknown to me) farmers have lost an average of 75 % of their corn crop. He worries the soy bean crop is next. While his statistics are not unknown to others, it presented me with a testimonial that is far more compelling because it is based on this gentleman’s real life experience. In addition to describing the statistics, he described that the farmers are plowing their crops under or harvesting their corn and soy bean crops as hay. When we drove to the Ozarks Friday, proof of his observations concerning the plight of the farmers was all around us. Fields of corn were brown, from Kansas City to Bagnell Dam. All along our route, fields have been plowed under, leaving only strips of corn a couple of yards wide. This is consistent with his explanation that farmers with crop insurance are required to preserve sufficient patches or strips of corn and soy beans to allow crop adjusters to evaluate the farmers’ losses? It is a tragedy to behold. In addition to the huge toll on the farmers, as a result of skyrocketing grain prices, livestock sales are at an all time level. Some cattle ranchers are selling off their herds because they can’t afford to buy adequate corn to feed their cattle. As a result, meat will also become more expensive. 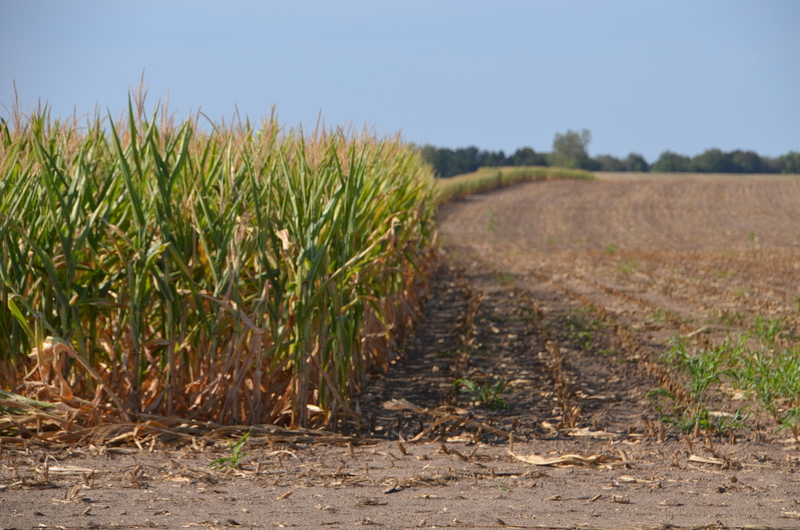 While some farmers on the coasts have bumper crops of corn, they may be the only beneficiaries of the drought. Consumers throughout the country face significantly higher prices at the grocery store for all corn-based product, soy products and beef. Those most seriously impacted by this drought are likely to be those in the poorest nations that are often the same nations that constantly face famine or near famine. While there are areas of the world where harvests are bountiful, overall, there will likely be significant reductions in food aid. Record high prices for corn and other products as well as a lack surplus crops for export will hamper the efforts of government and charitable organizations that traditionally help those worldwide who face the greatest need. The tragedy associated with this drought only begins to be felt here in the midwest in August. The long-term repercussions may be far more dramatic here and worldwide. This entry was posted in Health and Lifestyle and tagged cattle, Corn, Crop Insurance, drought, Famine, Grain Prices, Soy Beans. Bookmark the permalink. Important topic well described. Thanks.